Photo credit: International Social Security Association, “Gulf Cooperation Council session.” Flickr, CC BY-NC 2.0. Read more about the background of this project here. The Asia Cooperation Dialogue is a continent-wide forum, which has encouraged governments to exchange information and intelligence concerning terrorist activities, urged governments to increase the ratification of international counterterrorism instruments, enhanced awareness of potential threats through ‘People Watch’ initiatives, and conducted studies of best crisis management practices in ACD countries. Photo credit: Bahrain Ministry of Foreign Affairs, “The 9th Ministerial Meeting of Asia Cooperation Dialogue - Iran 2010,” CC BY-ND 2.0. The Conference on Interaction and Confidence Building Measures in Asia (CICA)—an international forum—engages in several areas of cooperation, including “New Challenges and Threats (Terrorism, Money Laundering, Drug Trafficking, Human Trafficking).” Photo credit: Sompop S, “DSC_0094,” CC BY 2.0. The East Asia Summit (EAS)—a forum held annually for dialogue and cooperation on key challenges facing the East Asian region—strives to further enhance cooperation to counter terrorism and its financing. Photo credit: U.S. Embassy, Jakarta, “Secretary Clinton at the East Asia Summit Foreign Ministers’ Consultation,” CC BY-ND 2.0. 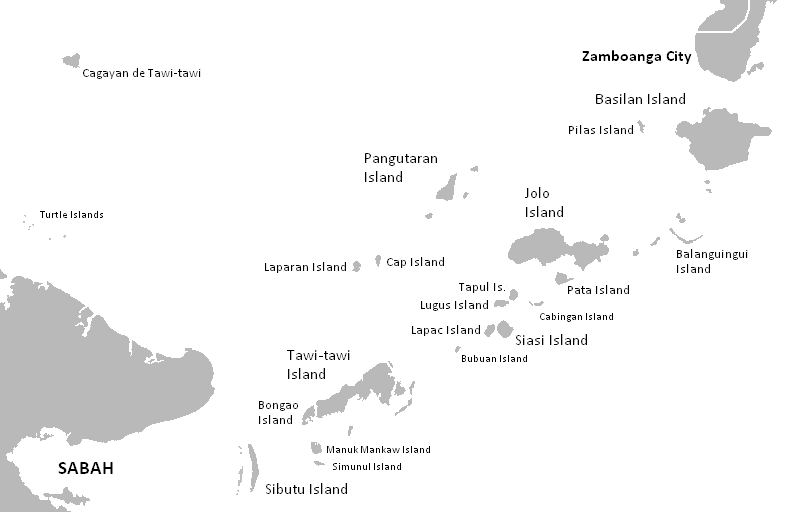 Since 2008, the U.S.-sponsored Trilateral Interagency Maritime Law Enforcement Working Group has aimed to better coordinate among Malaysia, Indonesia, the Philippines, and the U.S. on matters of interdiction and maritime security in the Sulu/Sulawesi Seas Littoral, which the U.S. has characterized as a “terrorist safe haven.” Photo credit: Kleomarlo (The Coffee's Blank map of the Philippines) [Public domain], via Wikimedia Commons.